Gardeners often use flowering bushes and shrubs for a variety of landscaping purposes. Many of them grow no more than 3 feet tall. Regardless of height, these flowering shrubs and bushes still give an attractive appeal to almost any area. The cinquefoil is a flowering shrub that only grows 2 to 3 feet tall. It grows best in rich, well-drained soil. In June, white, yellow or pink flowers cover the plant. An evergreen flowering shrub, Coyote brush grows rapidly. It normally grows 2 to 3 feet tall. From July to October, small clusters of yellow and white flowers, and tiny, bright green leaves cover this shrub. The wren rhododendron is quite possibly one of the smallest of all flowering shrubs. It grows close to the ground at only 12 inches tall. The small flowers bloom in mounds of bright yellow blooms. Another low-growing evergreen shrub, the Rose Daphne reaches a height of only 1 foot. 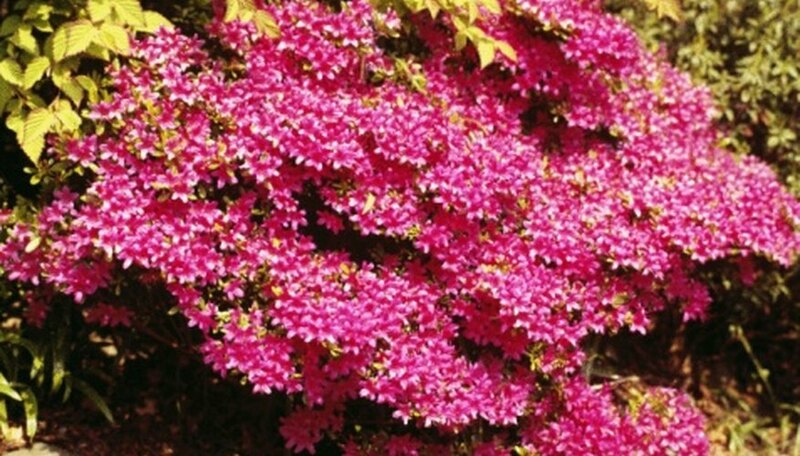 In the spring, fragrant pink blossoms that bloom a second time in the summer, cover this shrub.